FRISCO, TEXAS – The North American Hockey League (NAHL) today announced the Divisional Stars of the Week presented by Combat Hockey for the week ending January 6, 2013. The Divisional Stars of the Week is a weekly feature during the 2012-13 regular season that honors the top performing players in each of the four NAHL divisions as nominated by their respective teams. Honorable Mention (alphabetical): Zack Holstrom, forward, Minot Minotauros – Justin Moody, forward, Brookings Blizzard – Ryan Ruck, goaltender, Minot Minotauros. Honorable Mention (alphabetical): Brandon Adams, forward, Soo Eagles – Ryan Atkinson, forward, Springfield Jr. Blues – Taylor Burden, forward, Kalamazoo Jr. K-Wings – Ryan Doucet, forward, Jamestown Ironmen – AJ Marcinek, forward, Michigan Warriors – Robbie Payne, forward, Kalamazoo Jr. K-Wings – Brett Skibba, forward, Springfield Jr. Blues. Honorable Mention (alphabetical): Scott Conway, forward, Texas Tornado – Lawrence Cornellier, forward, Odessa Jackalopes – Mike Davis, forward, Amarillo Bulls – Sean Gaffney, forward, Topeka RoadRunners – AJ Jarosz, forward, Corpus Christi IceRays – Hunter Leisner, goaltender, Texas Tornado – Ross Luedtke, forward, Topeka RoadRunners. 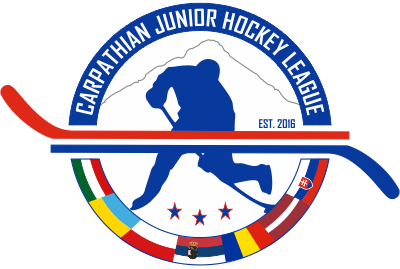 Honorable Mention (alphabetical): Alex Jackstadt, forward, Kenai River Brown Bears – Steve Perry, goaltender, Fairbanks Ice Dogs – Mitchell Snyder, forward, Fresno Monsters. 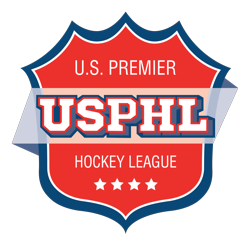 The NAHL, the only USA Hockey-sanctioned Tier II Junior league boasting 24 teams from across North America, prides itself on the social maturity and skill development of student-athletes ages 16-20 with aspirations of advancing to collegiate and/or professional hockey. So far during the 2012-13 season, over 50 NAHL players committed to NCAA schools. The NAHL also had two players selected in the 2012 NHL Entry Draft. Famous alumni of the NAHL include: Buffalo Sabres goaltender Ryan Miller and Chicago Blackhawks forward Patrick Kane. For more information, visit www.nahl.com.